Elora’s candy boutique is everyone’s favourite Sweet Distraction. The minute you walk into the shop along Mill Street West, you’ll see, it brings out the kid in all of us. 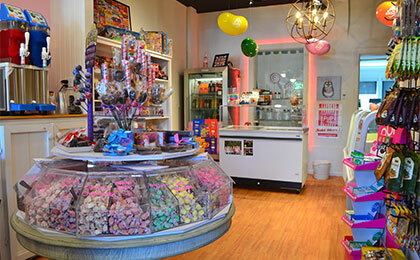 With colourful displays of candy on every shelf that are as pleasing to the eye as they are to the taste, the selection includes classic favourites, like Salt Water Taffy and a selection of fudge flavours, to licorice, and old-fashioned candy styles, like lollipops and hard candy sticks. But one of Sweet Distractions most refreshing temptations is their incredible assortment of gelato and sorbetto, and London ice cream, served up fresh and enjoyed by all.